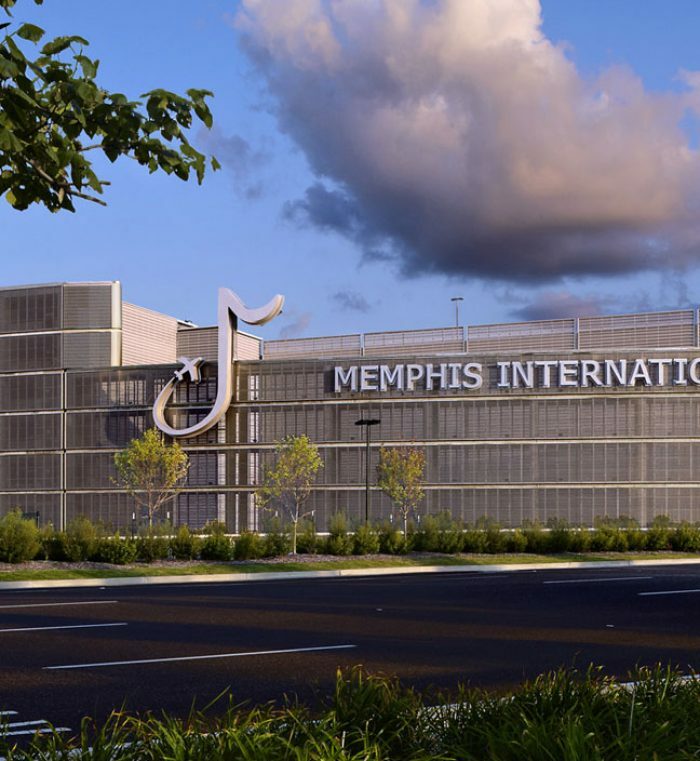 Walker led the design of the new parking structure and consolidated rental car facility at Memphis International Airport. 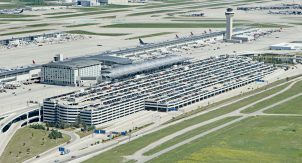 The structure is designed to provide 4,500 public spaces on levels 3 through 7. 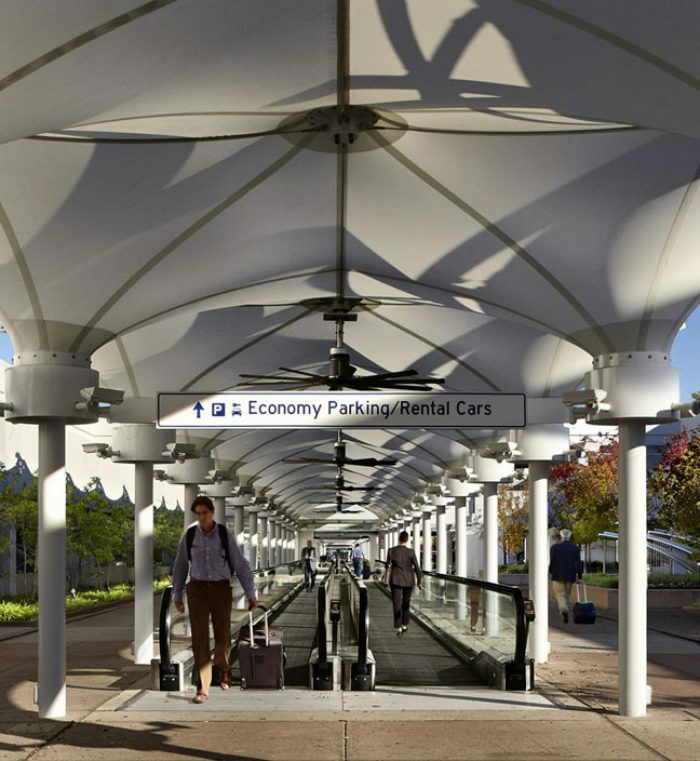 Levels 1 and 2 of the structure provide rental car ready and return spaces. 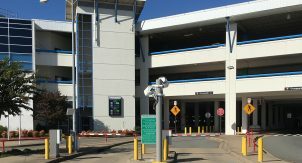 There is a quick turnaround area for re-fueling and cleaning of the rental cars north of the garage. 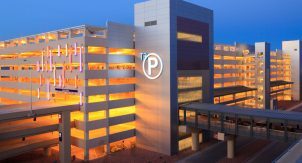 Public access to the garage is at the second level with a speed ramp to the third level where public parking begins. 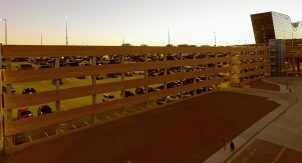 A “squeelix” on the north face of the garage takes public parkers up and down between levels 3 and 7. 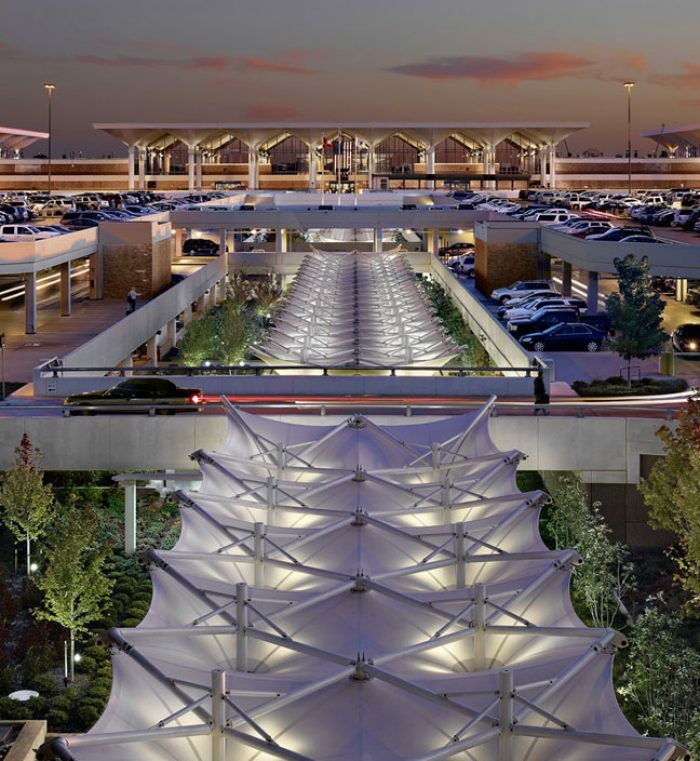 There are two cashier plazas, one on the south side with ten lanes, and one on the north side with four lanes which is dedicated to credit card only exits. 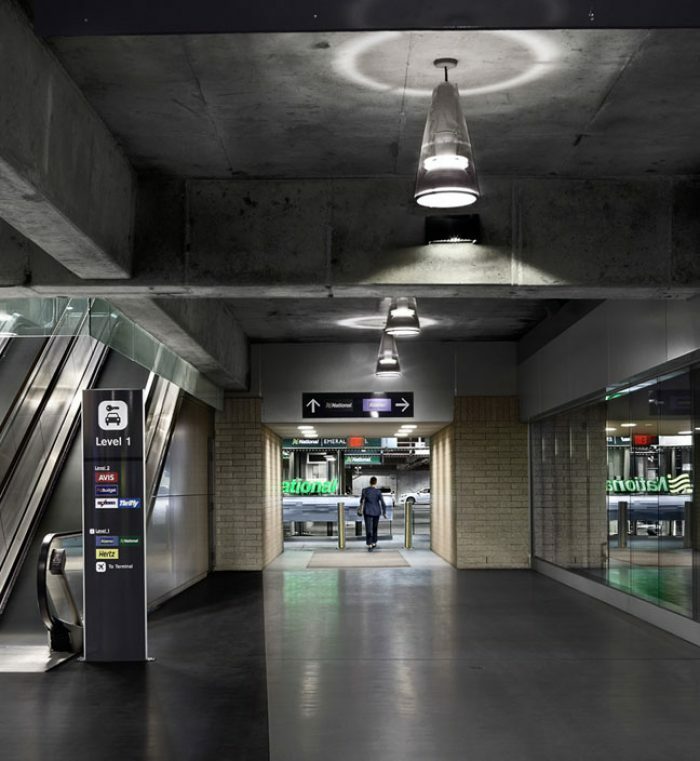 The entire project consists of refurbishing the existing garage with new pedestrian walkways, hardscaping, landscaping, fabric canopies, three moving walks (each approximately 160 ft. long), and a general upgrade of finishes. 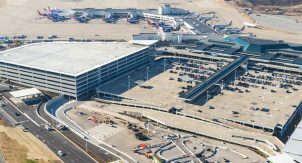 This includes the tunnels connecting the existing garage to the main terminal. Structural restoration of the existing garage is also included. 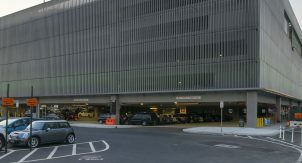 The new garage includes a new Parking Office at the second level and a Customer Service Building on the ground level for rental car agencies. 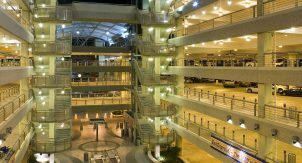 Escalators take the public from the first to second floor to pick-up their rental car. 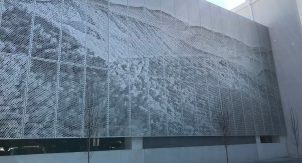 On the north face of the garage is a sweeping structure resembling an ‘airfoil’ which includes the airports’ logo and name and is covered with a stainless steel perforated panel. © 2019 Walker Consultants. All Rights Reserved. Site by Clockwork Design Group, Inc.